Return Redditch Council to Labour. 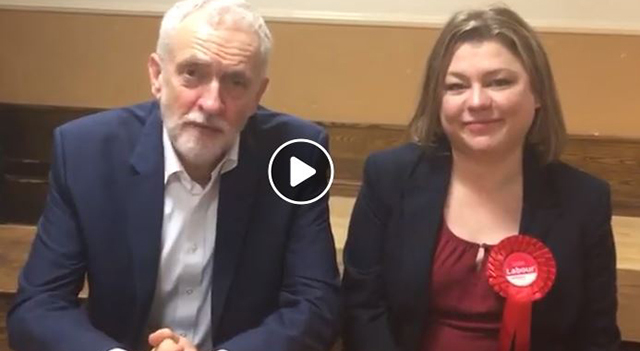 VOTE LABOUR on MAY 2nd! 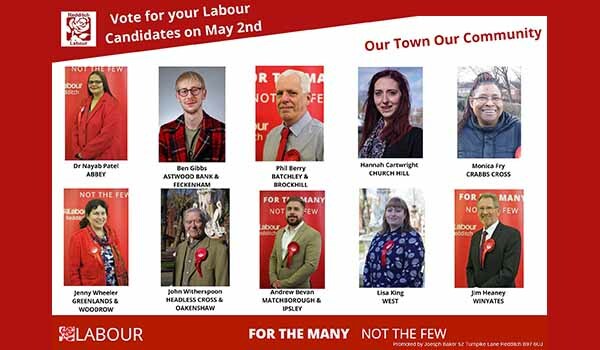 We are fielding 10 excellent candidates in this May’s council elections and we are determined to regain control of Redditch council from a Tory administration devoid of ideas. Our towns Conservative council have no plan for Redditch. They took control from labour in last years council elections and have done nothing since except award themselves a 362% pay rise.. They have no plan for jobs, our Hospital, housing or our town centre regeneration. More than ever Redditch needs a change. Redditch needs its Labour council back! Our ‘Labour Listens‘ campaign helped shape our Redditch Labour Party Manifesto. Please read our plan for Redditch which YOU helped create! Redditch Labour is a grassroots & completely voluntary organisation and is funded entirely by donations from our supporters. If you can make a donation to our election fund, no matter how small, it will be much appreciated. Thank you. 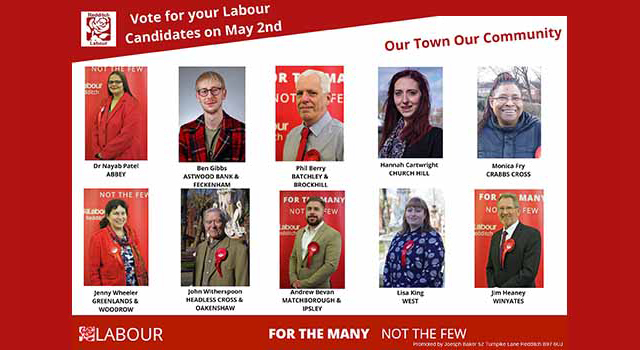 Please watch the short video below which introduces our 10 candidates for the May 2nd council elections.